Is anybody facing monetary commitment to you? A new service launched by the NBE of Georgia - summary proceedings - enables citizens to solve the disputes referring to monetary commitment without any legal procedure swiftly and cost savingly. Summary proceedings allow you to efficiently regulate disputes concerning monetary commitments and doesn't identify the fulfillment of the responsive liabilities. How can I get the Service? The Summary Proceedings was launched in NBE having considered the French and Swedish experiences. However, a number of elements were incorporated in the classical understanding of the Summary Proceedings Service. After registering the application, NBE hands in a notification to a debtor informing about the feasible negative impacts of ignoring to pay the due. A debtor is debriefed about the possible legal action on the case. How can the Proceedings be conducted after the notification has been handed? •	Proposing an agreement if he/she is willing to negotiate the pay terms with an applicant. What is implied in Agreement? Within the frameworks of the agreement, the parties have an opportunity to negotiate the deadline of the due pay and/or the amount of it. They will be assisted by the mediation professionals of NBE - Case Managers. 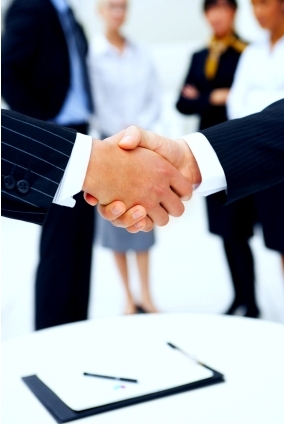 -	Case Manager monitors the fulfillment of the terms agreed by the parties. N.B: In case a defendant doesn't follow the agreement, NBE issues a mandatory decree on a compulsory payment of the due on the basis of an applicant's assignment. The Decree refers to the terms and the amount of the due pay stipulated by the Agreement. A legal outcome is faced in case the Agreement terms aren't followed and a defendant rejects the prior understanding. Only in case a defendant accepts the due amount, a relevant decree can be issued regarding the payment. How much is summary proceedings? •	The price per application that has to be based on legal reasoning totals 100 GEL. •	In case of share commitments if an application addresses more than one defendant or/and is made by more than one applicant, the price of application is still 100 GEL per person. •	An applicant is authorized to require the execution of the decree prior to the proceedings or on any step of it if such decree is issued or a defendant rejects the agreement terms. An applicant should pay 2% of the amount stipulated in the assignment as an enforcement service guarantee due. The amount will be refunded after the enforcement is completed. •	Together with the execution of the pay order an applicant is allowed to require a property provision activity against a defendant, the service due per item totals 50 GEL. What is a competitive advantage of Summary Proceedings? Modified service of summary proceedings launched by NBE allows stakeholders to solve disputes swiftly and cost savingly in comparision with the courts that were in charge of it until today.